Architect David Adjaye examines the idea of the monument at the Design Museum where seven of his buildings come under the spotlight. The London based architect, designer of this year's Brit Awards trophy, presents his thinking on how architecture and form are used as storytelling devices. 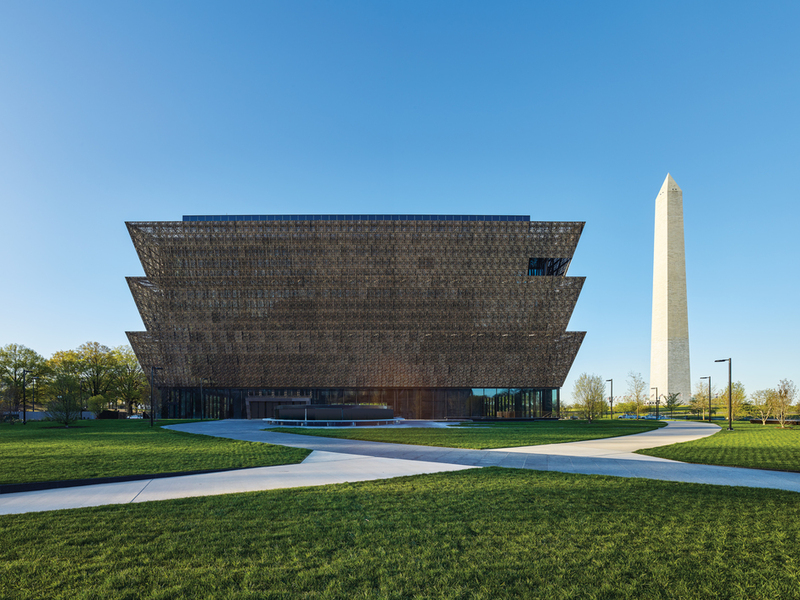 His projects such as the Smithsonian National Museum of African American History and Culture in Washington D.C. (crowned Design of the Year 2017) and the National Cathedral of Ghana are examined, showing how Adjaye uses architecture to create monuments and memorials. What are the best dining options near David Adjaye: Making Memory London? David Adjaye: Making Memory gyms, sporting activities, health & beauty and fitness. The best pubs near London David Adjaye: Making Memory. David Adjaye: Making Memory clubs, bars, cabaret nights, casinos and interesting nightlife. Where to have your meeting, conference, exhibition, private dining or training course near David Adjaye: Making Memory. From cheap budget hotels to luxury 5 star hotels see our deals for Design Museum hotels, including NH Kensington Hotel London from 89% off.